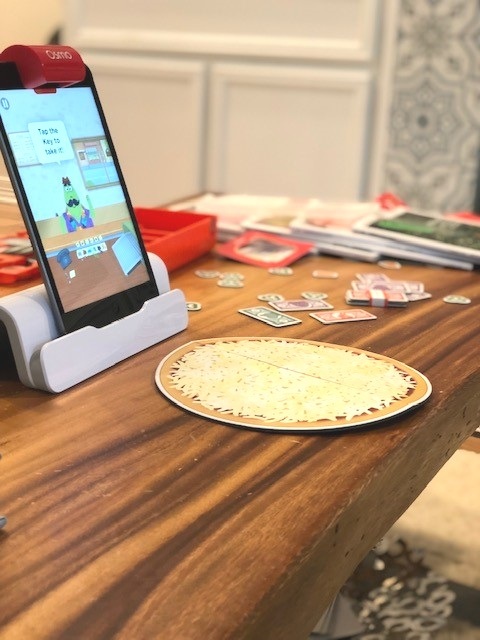 We were invited to the cutest Valentine’s party with Osmo to launch their new Pizza Co. game that puts kids in charge of their own pizza shop! (Seriously, the little character says he needs a vacation and he hands over the pizza shop to the new owner. 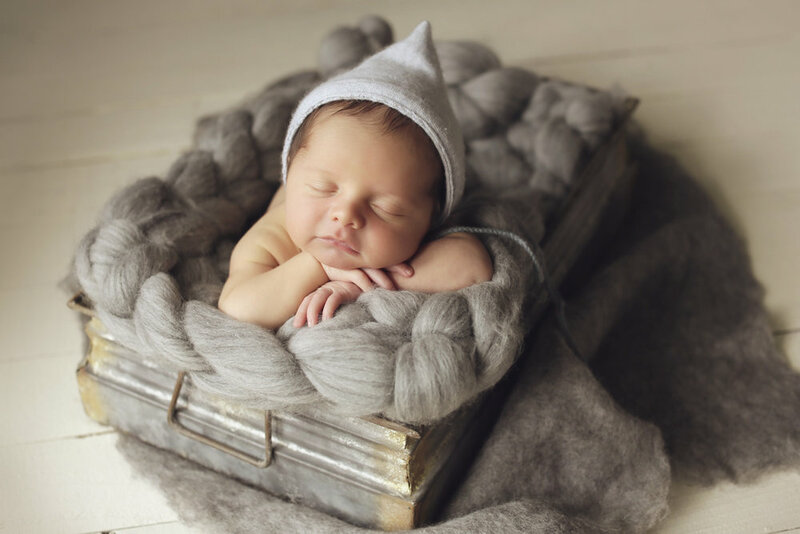 Your child). 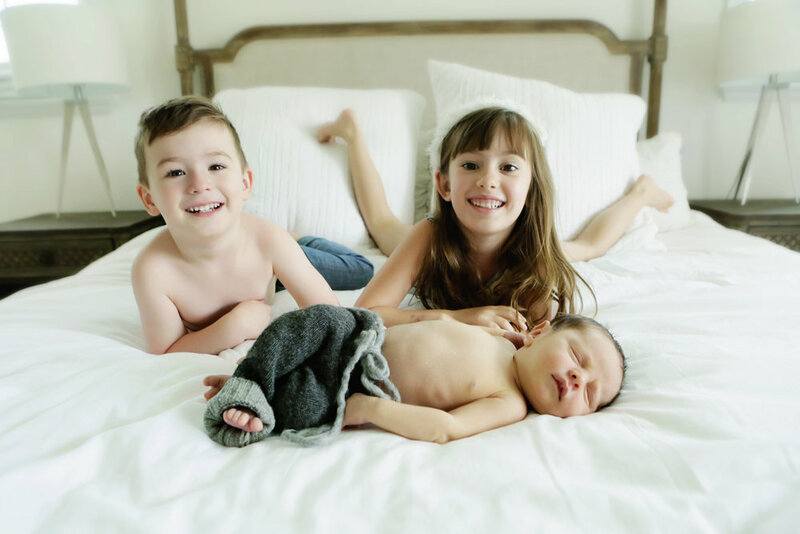 Kids have to keep up with sometimes picky customers, have the option to handle the money, add the proper ingredients and see how much profit they made in a days’ work. 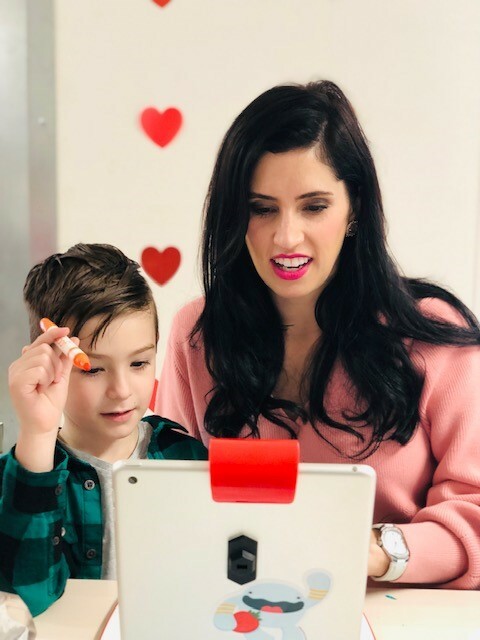 If you haven’t heard of Osmo yet, they make amazing products and games for educational screen time compatible with iPhone, iPad, and Fire Tablet. 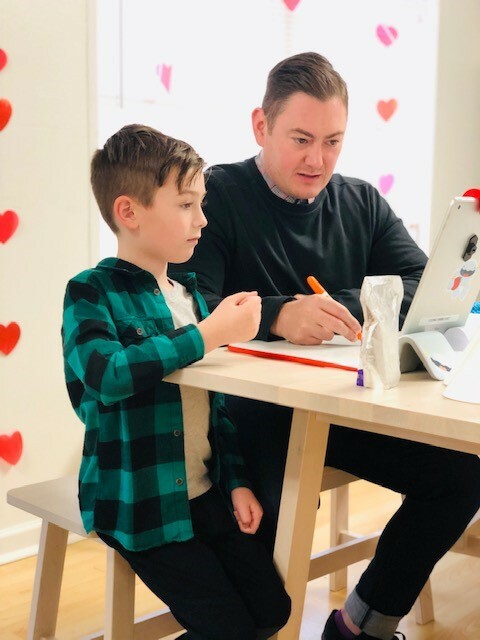 With games ranging from coding and art to Hot Wheels and Disney Princesses, Osmo offers what both kids and parents want: engaged, fun, meaningful play. That’s when they really learn, right?? 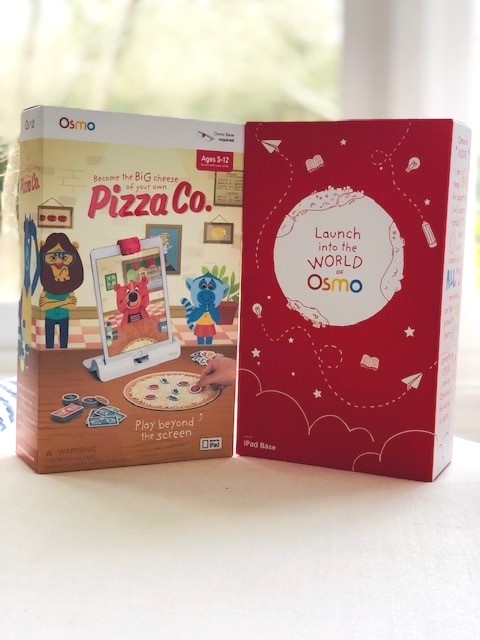 Anyway, when I told Matt we were invited to the Osmo party, he was like “woah, they’re huge!” It makes me so excited when he already knows the brand that we’re collaborating with. They’re big on the tech scene and our kids got to bring home a base and the new Pizza Co. game. They loved it and I love that I can set it at the age appropriate level for Sterling (he adds toppings, does some of the money exchanges), and then a more difficult level for Scarlet, who is in second grade, with word problems and her customers asking questions like “Do you have something for a pescatarian"?’ She was all, “Mommy, what’s a pescatarian?” The more ya know, Scar. The more ya know. Osmo’s Pizza Co. is really well done and I felt good about having them take turns playing while Shep napped and I showered. It’s excellent quality, fun, educational screen time for kids 5-12. Thanks for having us and for the goodies, Osmo! Here we are at Osmo’s Pizza Co.Valentine’s Party at Figment Studios in Austin.